Two-Headed Giant Tournaments Are Back! Team up with a friend and head to a participating game store today. Want to read the story from the beginning? 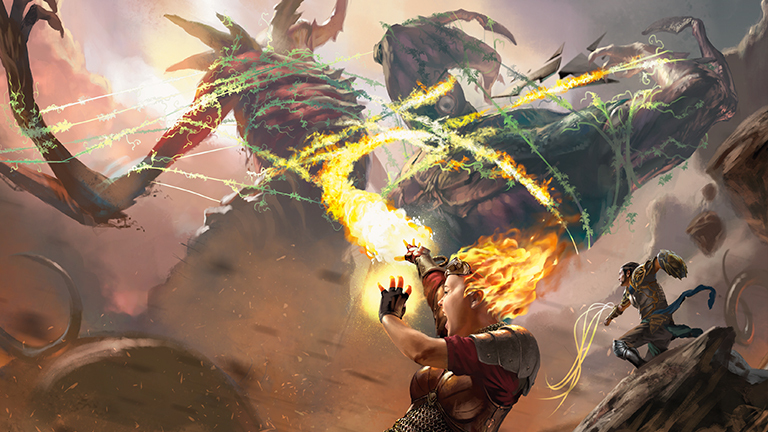 Check out the Battle for Zendikar story. The demon Ob Nixilis has disrupted the hedron network at Sea Gate, and the plan to defeat Ulamog has fallen to pieces. 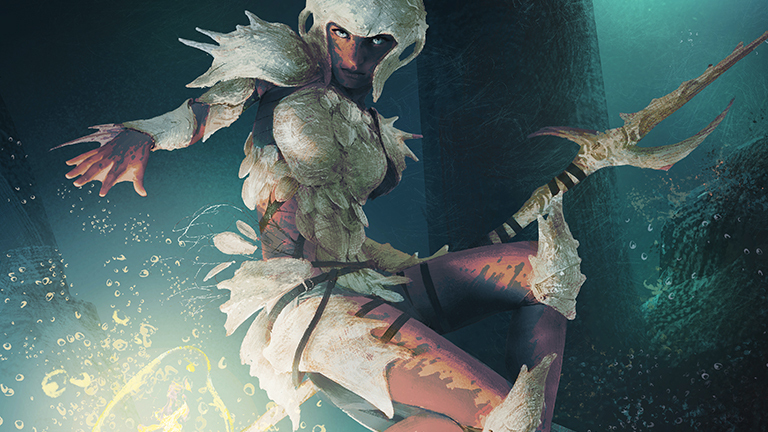 As chaos reigns, the merfolk Planeswalker Kiora takes up her stolen weapon. She came here to face a god, and she will not be denied. 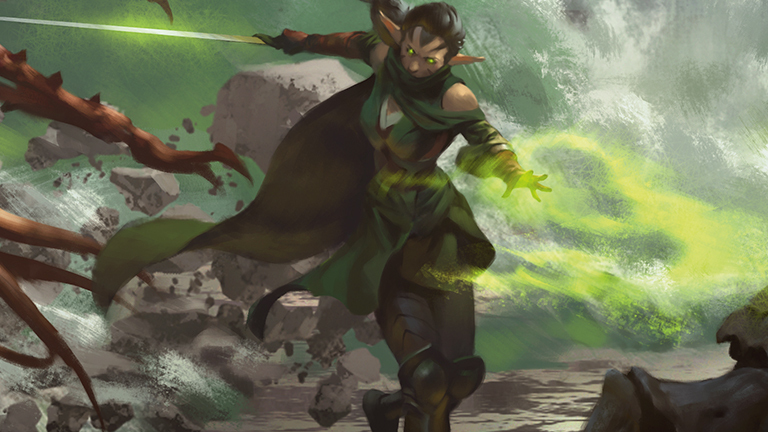 Nissa witnesses the collapse of the hedron trap, her last hope for saving her world. As not one, but two titans rampage through Sea Gate, she sets her sights on the demon responsible, Ob Nixilis. 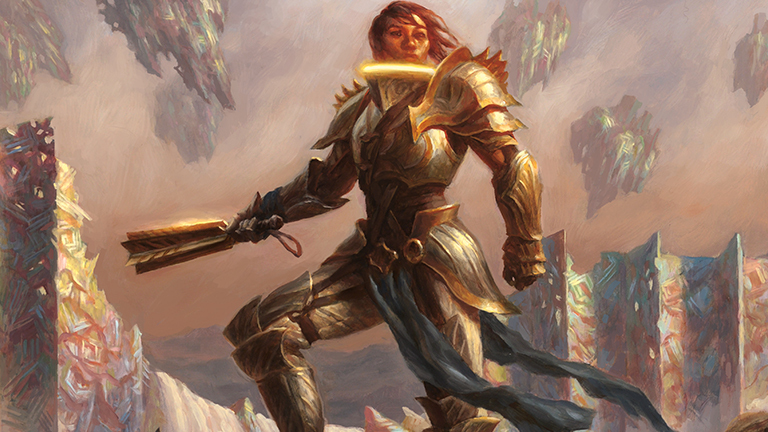 If she can’t save Zendikar, at least she can destroy the being who led to her world’s end. But this time, Ob is ready for her. Their entire continent decimated by the Eldrazi, the Mul Daya elves Mina and Denn are haunted by the loss of their home. Struggling to find a new place somewhere in the embattled wilds, the two journey to seek assistance from the Zendikar's remaining elves. But in their search for aid, they find that their enemies too have changed in strange and terrible new ways. 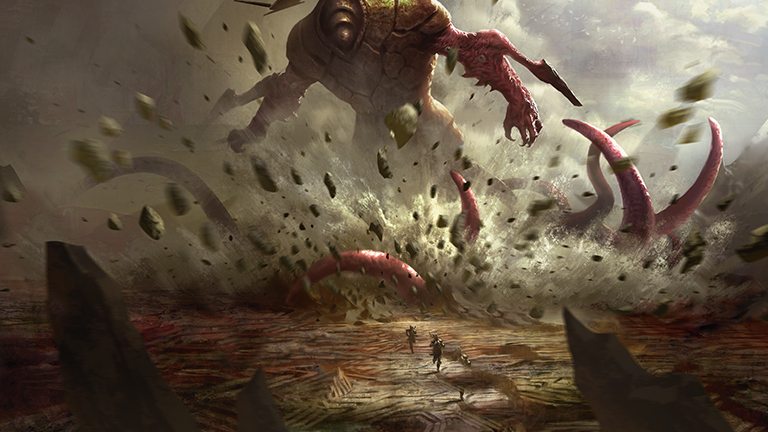 Chandra Nalaar arrived on Zendikar to find two Eldrazi titans on the loose, the armies of Zendikar scattered, and her Planeswalker allies missing in action. Now it's time to do something about it. With Sea Gate in ruins, and two Eldrazi titans on the loose, Jori En must embark on a mission to help Kiora recover her powerful bident—a weapon of the gods that could the tide against the Eldrazi. 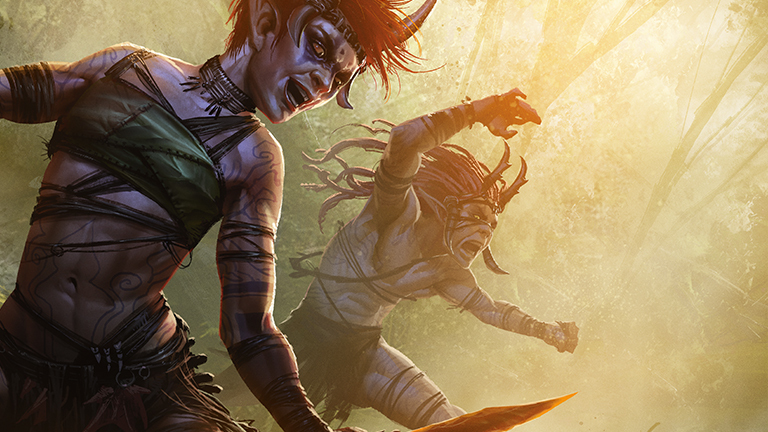 Freed from the demon's prison of agony, four Planeswalkers come to a moment of truth. With the world crumbling around them, they must find the will to stand in one last, desperate battle against the Eldrazi titans—with the fate of Zendikar and perhaps the whole Multiverse hanging in the balance. 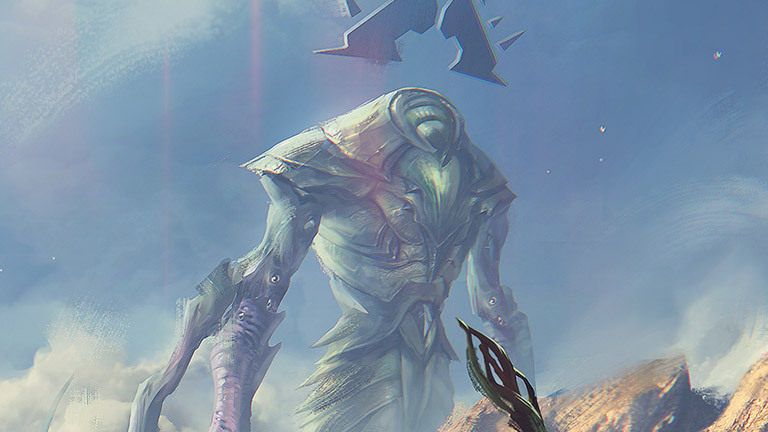 Two Eldrazi titans now roam Zendikar's surface. 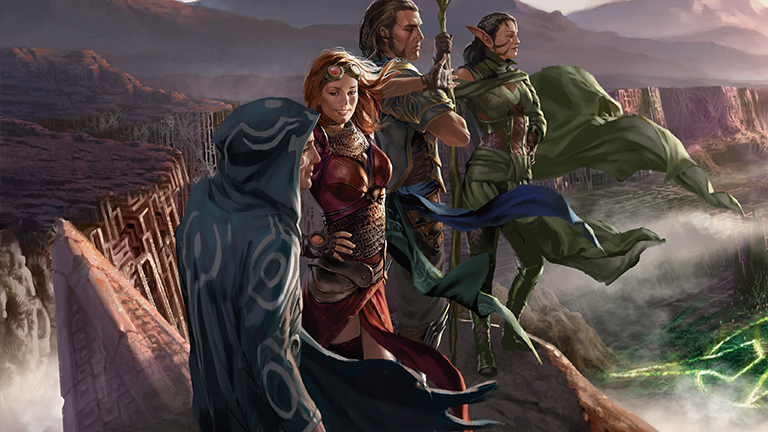 Four Planeswalkers stand against them. They took an oath. They formed a team. Now they need a new plan—and Jace Beleren is the only person who might be able to come up with one. It has all come down to this. The Planeswalkers and Zendikari must execute Jace's plan flawlessly. Chandra is ready to do her part to support Nissa's binding spell, but Kiora fears their plan could lead to Zendikar's ruin. The four Planeswalkers who came together to battle the Eldrazi have won! In destroying the titans Ulamog and Kozilek, they succeeded in pulling the entire world of Zendikar back from the brink of extinction. 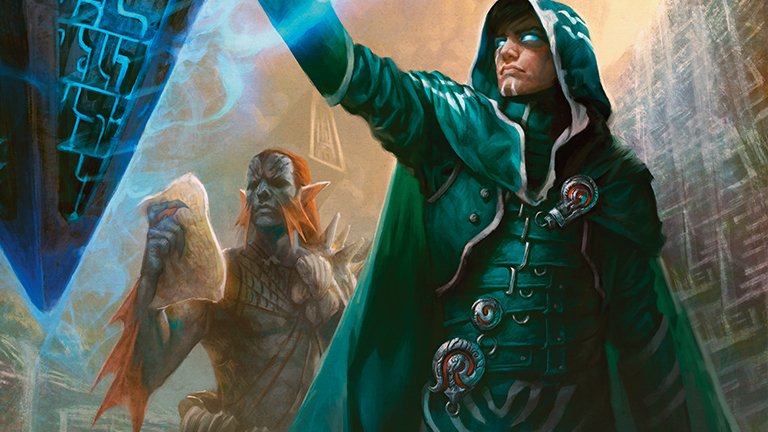 Now, in the aftermath of their victory, Gideon, Jace, Chandra, and Nissa must decide what will come next. Missed any of these stories from Oath of the Gatewatch? We've collected them for you in mobi and ePUB formats, compatible with most e-reader devices and web applications. 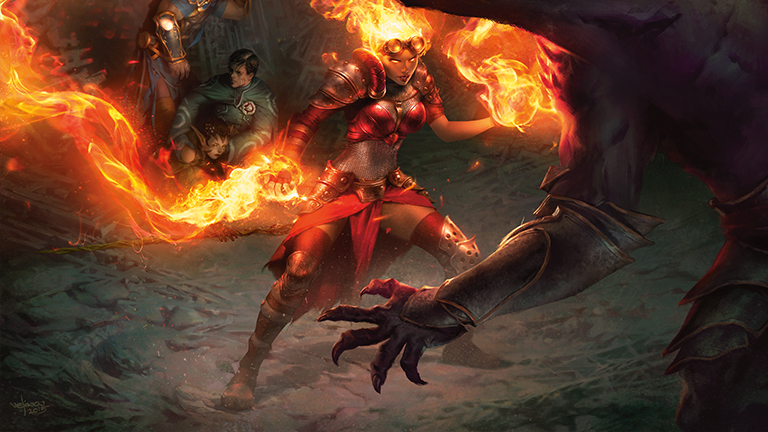 Driven, devoted, and deeply connected to the land, Nissa Revane wields powerful elemental magic. Her compassion and fierce determination to defend her embattled home of Zendikar drive her to seek aid from other planes across the Multiverse.